A letter of not more than 3000 characters evaluating the nominee's qualifications in the field of electron crystallography and identifying the specific work to be recognized. There is no nomination form, so this letter is considered the nomination "application". John Steeds, Michiyoshi Tanaka. 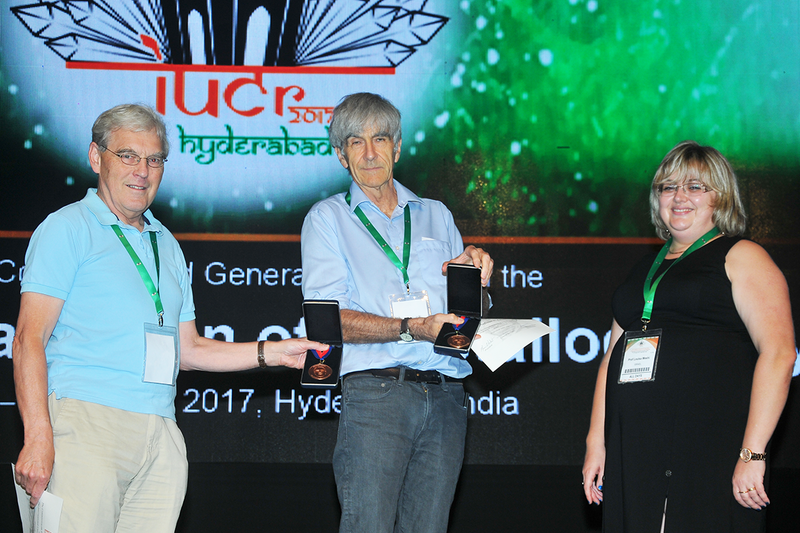 Joint Awardees of the 2014 Gjønnes Medal for their outstanding contributions to convergent-beam electron diffraction. GM01: The Large Angle Technique and Lattice Defect Identifications. Michiyoshi Tanaka. GM02: A Convergence of Beauty and Utility. John Steeds.